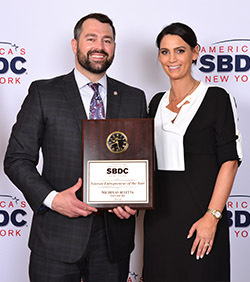 The New York SBDC Veterans Services and Assistance Program works to provide targeted training, counseling, and mentoring to help veterans start and grow a small business. SBDC Business Advisors help veteran small business owners improve profitability, expand market share, explore export opportunities, and provide valuable assistance in terms of establishing businesses on stronger organizational and financial footing. Boots to Business is a three-step training program developed to introduce and train transitioning service members to business ownership. Boots to Business helps ensure that every transitioning service member has access to a standardized entrepreneurship training track and small business resources in their local communities. Boots to Business is offered by the Whitman School of Management at Syracuse University (SU) and operated by SU’s Institute for Veterans and Military Families (IVMF), in partnership with SBA resource partners, including the NY SBDC. OORAH! Opening Opportunities, Resources and Access for Heroes is a comprehensive, data driven bill designed to provide veterans and veteran-owned businesses with the same access to economic programs and incentives, including increased opportunities in state contracting, that are now offered to minorities and women for their business enterprises. Another innovative development within VBOP is the creation of an online educational program that teaches veterans to be successful entrepreneurs. 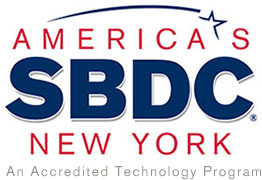 EntreSkills for Veterans™ is based on the successful EntreSkills™ program developed by the NY SBDC’s Central Office. VBOP Business Advisors assisted in an upgraded and targeted version of these materials based on a simple premise: military training and experience can be an excellent preparation for starting your own business. The self-paced program helps veterans refine and develop a concept, address legal and marketing issues, prepare financial statements, and ultimately, manage and run a business. Each chapter of EntreSkills for Veterans™ includes business-related websites and veteran entrepreneur case studies that enable the veteran to study each subject area in depth. The information provided in each chapter builds cumulatively toward the preparation of a finished business plan. After completing the program, participants will have developed a business plan draft through the use of our interactive Business Plan Builder. EntreSkills for Veterans™ operates in tandem with one-on-one business counseling by Veterans' Business Advisors.